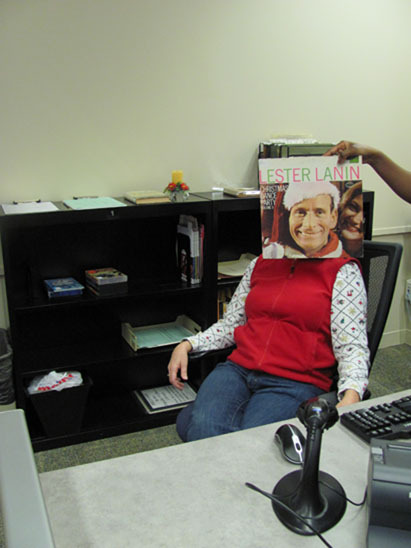 It may say Christmas Dance Party on the album, but Lester Lanin is all about the loungin’ at the Pop Culture Library’s reference desk, baby. In this photo: Lester Lanin, Mary Zuzik and Ton-Nise Green. Photo by Liz Tousey. This entry was posted in Pop and tagged Lester_Lanin. Bookmark the permalink.